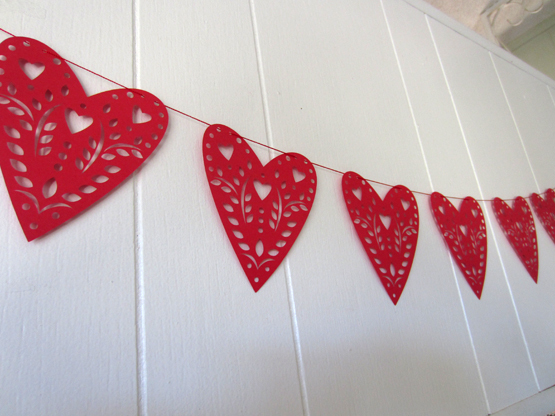 Janie has made us an all new Swedish Hearts Banner! This one is inspired by our Scherenschnitte paper trees we sell at Christmas time. (4.5" tall) Like the others, it comes in it's own little handmade envelope; the perfect way to celebrate love. Look for more of Janie’s darling creations coming throughout the year. Each banner comes with approximately five feet of string. Envelope is 4.5" x 5.75".